I’ve been thinking about this one for a while and is a topic which is particularly concerning for me as an artist trying to get my work out there and seen. I am not diagnosed as autistic officially although I do have a great deal of trouble dealing with social situations and meeting new people (quite terrifying and exhausting). My daughter has high functioning autism and a lot of her behaviour is similar to mine, so maybe I’m a high functioning autistic person, maybe not, maybe I’m just crap as talking the talk and being around new people. The problem however is that in the art world there is an expectation that you socialise, you attend art previews, you get to know people, you network and approach galleries and people in the business in order to sell yourself. What if you don’t have those skills due to autism? Is the art business missing out of a huge chunk of untapped creativity because that creativity isn’t good at marketing itself? This is a question that a lot of shy or introverted people have to deal with, but what about the autistic artist? If I’m at a social gathering with lots of new people I find that I have to go for a ‘time out’ walk or sit in a quiet corner after an hour (sometimes earlier). Sensory overload I suppose. The art helps because it ‘gets it out’ as I like to say. It provides hours and hours of focus alone where I can think and become lost in the action of making my picture. It would be nice if others appreciate my work but if they don’t, fine it’s for me primarily anyway. This leads me to another question or problem with the autistic artist making it in the art business. 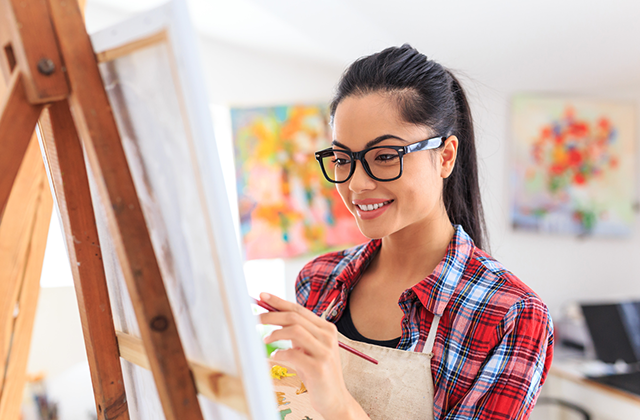 Often artists receive commissions or alter the style of work that they submit to an open exhibition or prize so that they appeal to the judges’ taste. The autistic artist has no concept of pleasing the tastes of another, the art is about what is in their mind and expressing it. That isn’t to say that artists who are not autistic don’t produce art that comes as a true expression of themselves (that is what art is about), it’s that some artists know how to please the audience. Concept artist play an important role in the development of video games. Another difficulty for the aspiring autistic artist is that they often have a favourite tool to express what is in their mind (although other artists have favourite tools they do seem to mix in other media). My favourite tool is charcoal pencil. I realise that I will have to expand on that so I’ll stretch it to some paintings later this year, however I’m not massively experimental in terms of materials and techniques used such as fabrics, printing etc. Many well known artists seem to have quite a wide repertoire of techniques which I would feel overwhelmed by if I were to incorporate it suddenly in my work. It makes my head spin thinking about it. I attended art college for a year and for the most part hated it because the pressure was on to play around with various media. That isn’t to say it is wrong, of course not, art college is about experimentation. I could probably manage an introduction to printing, learn everything about it, spend hours with it and perfect it and then move on to another technique (but leave the printing out). Lots of techniques introduced in a short space of time is very worrying for myself. I love working out of my comfort zone (that’s where you learn) but I can’t handle lots of new materials being introduced in a short period of time and being expected to work with them. I’m unsure if this is an autistic artist problem or not but I do notice that many autistic artists out there seem to have a favourite form of expression that persists more with their work than I see with other artists. I think that maybe the expectation of the art business for artists is sometimes very difficult for those with any form of autism (or learning disability). The expectation of networking, socialising, presenting art to galleries, pleasing the audience with commissions may seem easy or even fun to many aspiring artists (or for introverted people they can learn skills to overcome their problems), however the autistic artist will struggle with the ‘small talk’ needed in networking, they will struggle with gauging what people are looking for and they will be oblivious in many instances of art fashions. Are these good or bad things? Maybe bad if you are autistic and trying to make a career in the art business however very good for producing original art (but you might have to accept that you won’t get much notice off the public). There is a significant area of art that has identified the difficulties that I have highlighted above. This is outsider art. Some dislike the term, however it is for ease of simplicity a way of describing the many artists who have a need or necessity to make their art outside the mainstream art business. Some artists have profound learning disabilities, some have mental illness, some just don’t like the mainstream art world, some just want to create their art individually without influence from what is fashionable or what is popular. To summarise, the mainstream art world is a scary and difficult place for an aspiring autistic artist. There are many barriers although there are some projects for young adults who wish to get their art seen however this excludes adults over the age of 25. What about them? Car Troubles? No Need To Fret, Take Action!